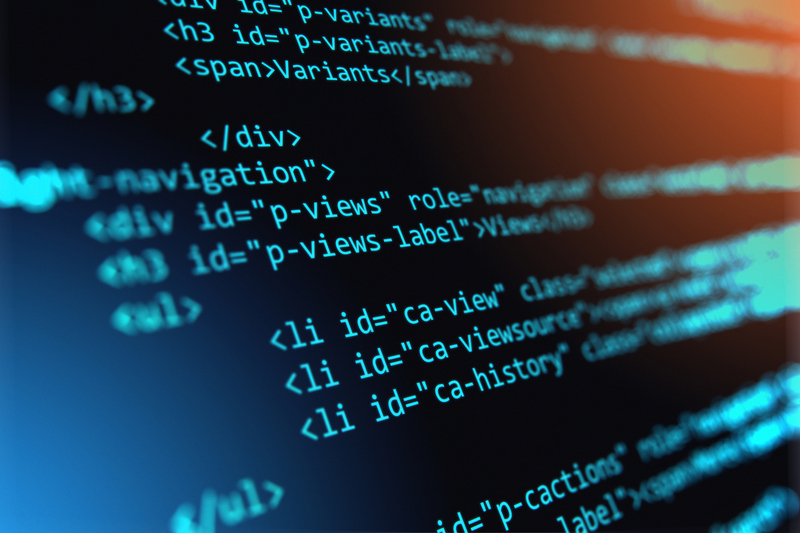 How has Google's Broad Core Algorithm Update affected SEO? 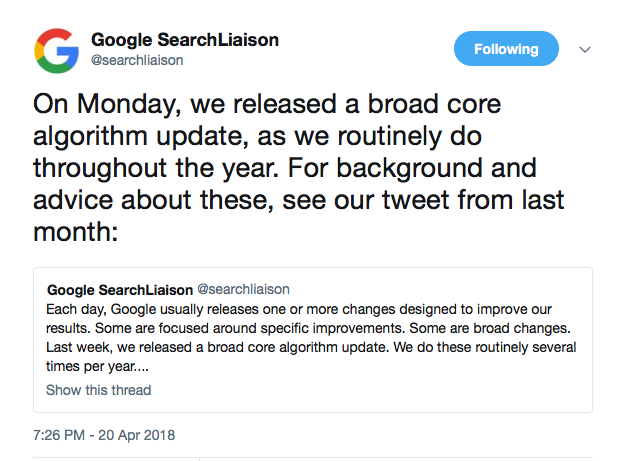 How has Google’s Broad Core Algorithm Update Affected SEO? 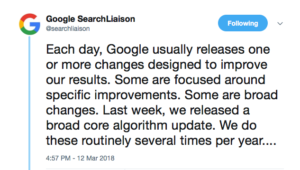 Back in April the Senior Webmaster Trends Analyst at Google, John Mueller, confirmed in a video posted on YouTube that the broad core algorithm update of March was focussed on relevance and not content quality – so it wasn’t aimed at penalising sites as such, more improving the quality of the results on the SERPs. You can watch the video below if you’d like, but be warned it is just over an hour long and features lots of other stuff about Search as well! What this focus on relevancy means is that if your content is specific and targeted to answer a given search query, then it will rank better than pages that are not 100% related to that search query. So the more targeted your content is the better, as generalised and broad content will start to lose out. This can be seen by the number of people who were negatively affected on a range of long tail keywords, rather than seeing a decline across all of their web pages. 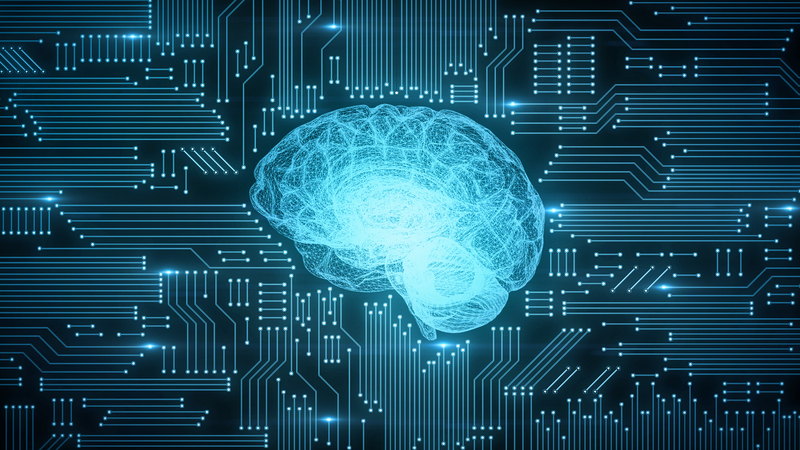 Search Engine Watch undertook a bit of a test to see who had benefited and who had lost out due to the algorithm update, and they had some interesting results. On the 27th of March, they inputted the Google Query: ‘What’s the best toothpaste’. They found that an article written on Businessinsider.com clearly benefitted from the update and moved from being barely visible to ranking on page 1 of the SERPs (despite not being updated since October 2017.) However, a page by Colgate on the best toothpaste for kids with Cavities was pushed down to page 5, possibly due to the fact that rather than answering the searchers question or matching the intent of the searcher’s question, it just gives a list of toothpaste types. A similar thing happened to the Amazon Best Sellers page for Toothpaste as well, probably due to the fact that this is a list of toothpaste available, and so not very inspiring from a content point of view. Interestingly enough, the writer of the article concludes that if he was searching for the best toothpaste, the Business Insider article would be the one he would want to read as it answered his question perfectly. There is a lot of talk around the subject of fake news at the moment, with sites like Facebook and Twitter working hard to try and combat it, and Google is also doing this with this core update in that it is now aiming to drop the rankings on sites where the facts cannot be verified, where the content is duplicated or where content is very similar to other sites. This is shown in the fact that after this algorithm update in March many UK tabloid newspapers lost rankings. 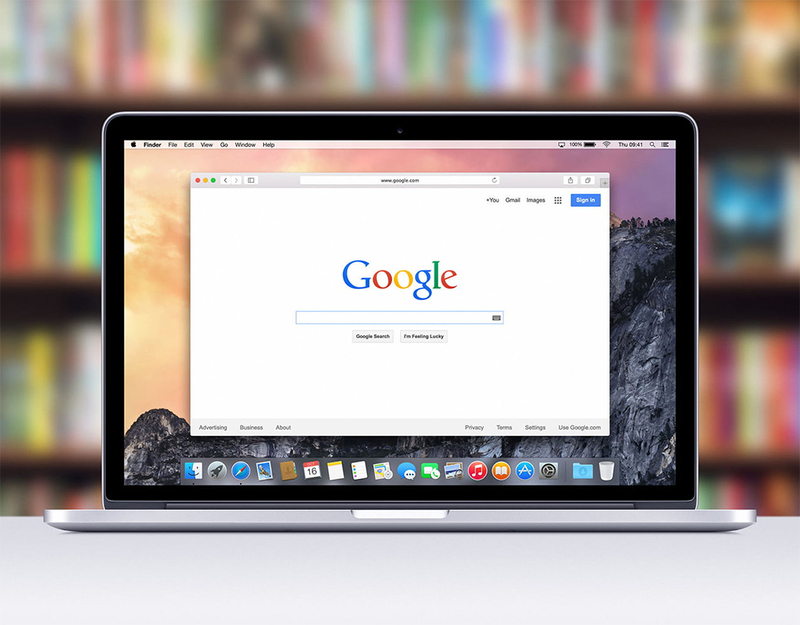 Research has shown that after the update The Mirror lost 27% of its organic search visibility, The Sun lost 21%, and the Mail Online and Daily Express lost 20%. Google is penalising them it seems for thin content, keyword stuffing and click baiting. 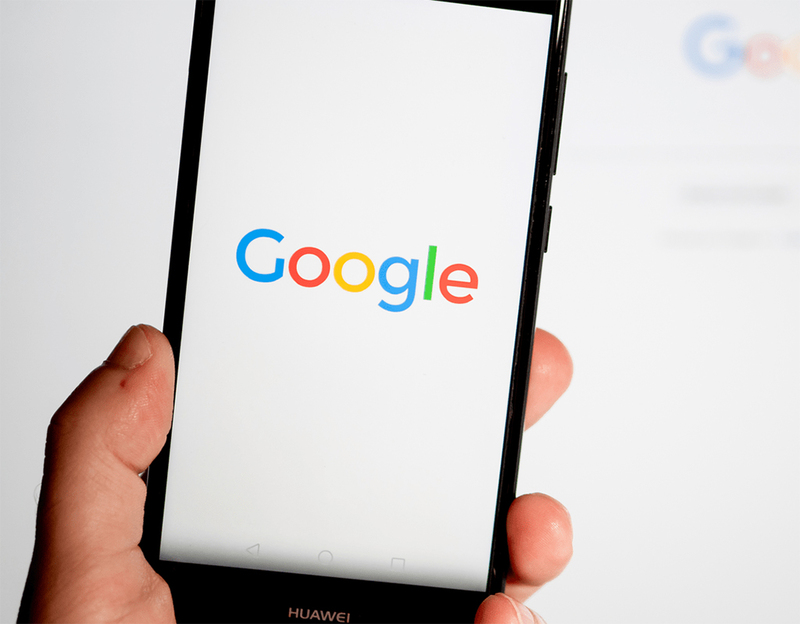 Google also seemed to have tweaked the algorithm in its own favour, by increasing the visibility of YouTube videos while dropping the results for lyric sites and disctionaries (which are now almost redundant due to featured snippets). Not all publishers lost out due to this update though, digital savvy publishers such as The Guardian and the BBC saw their rankings steadily improve. 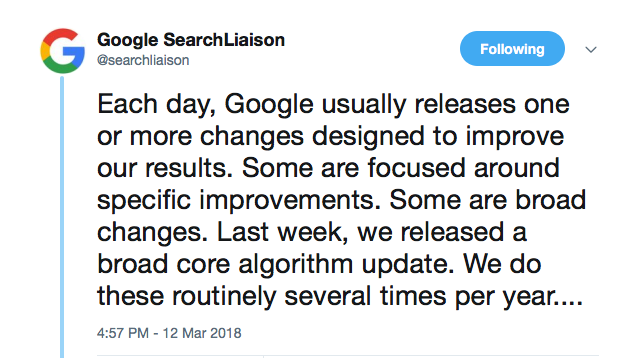 From the results that were seen after this, it seems like Google did a partial rollback of some of the things it changed in the March update, as some of the tabloid domains such as the Mirror and the Sun, saw their organic traffic increase slightly again – but still not to the levels that they were before the March update. As we have said above, the majority of Google updates likes this, are rolled out with little fanfare and even less explanation. This update seems to be about relevancy rather than the quality of content so it is more important than ever to make sure the content that you are sharing is relevant to the keywords you are ranking for or want to rank for. Great SEO copywriting practices teamed with sound SEO skills and great UX design foundations will always help you to rank more highly. Provide your customers with valuable content that answers their need and you should start to rise above your competitors in no time. At Zool helping our clients grow their organic search traffic is part of our day to day role, and so if you are reading this article because you’ve been a casualty of the recent Google update, then get in touch with us today to see how we can use a wide range of marketing tools to help your business to weather the algorithm storms.